The latest expansion of ‘Civilization VI’ is called ‘Gathering Storm’. Upon its release, which took place on Valentine’s Day, the game had a successful week in the popular download charts. A game series that debuted in 1991, ‘Civilization’ is all about strategic moves and was created by Sid Meier. 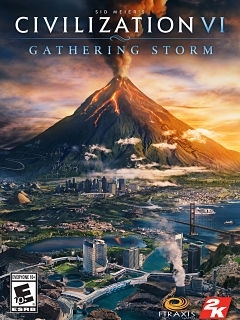 An add-on titled ‘Gathering Storm’ was recently released and is currently sitting on top of Steam. Its storyline revolves around drastic weather changes. The game is also in the first position at the Humble Store. In ‘Gathering Storm’ players follow the rule of 4X, which means that they have to “explore, expand, exploit, and exterminate. The expansion, which is a part of ‘Civilization VI’, explores the weather and how it can be manipulated by one’s actions and decisions. New features, leaders and wonders have been included in the add-on. Furthermore, across the charts and aside from ‘Civilization VI: Gathering Storm’, the usual titles are leading. For example, ‘PlayerUnknown's Battleground’ and ‘Grand Theft Auto V’ retain their spots among the top ten. ‘Far Cry New Dawn’ and ‘Astroneer’ can be found at the bottom of Steam’s Top 5 leaderboard. Originally created by Sid Meier, Jeff Briggs and Brian Reynolds, Firaxis Games is responsible for the game ‘Civilization VI: Gathering Storm’. Their other works include ‘XCOM 2’ and ‘Haunted Hollow’.